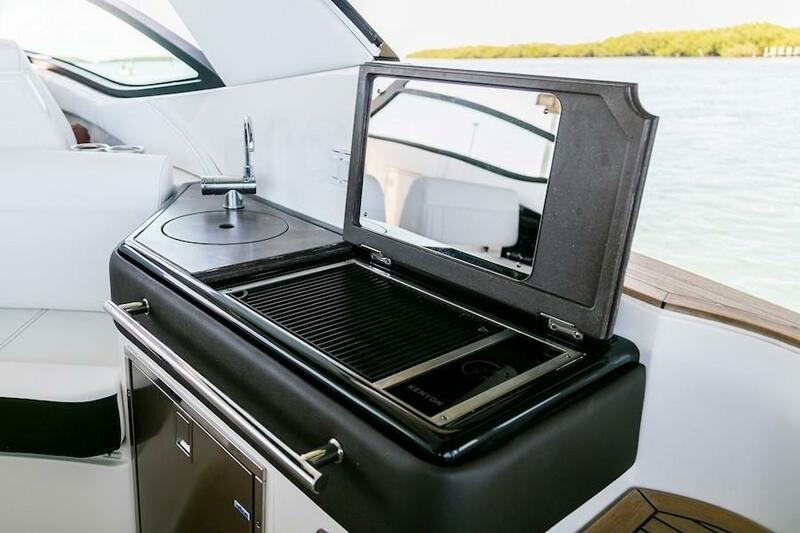 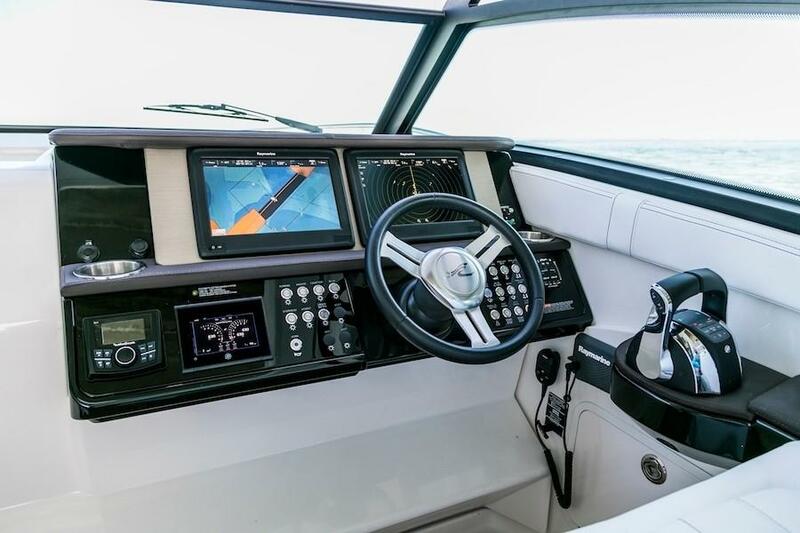 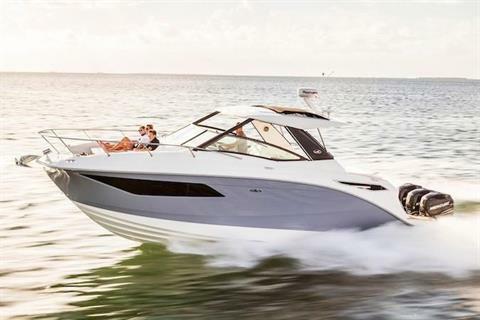 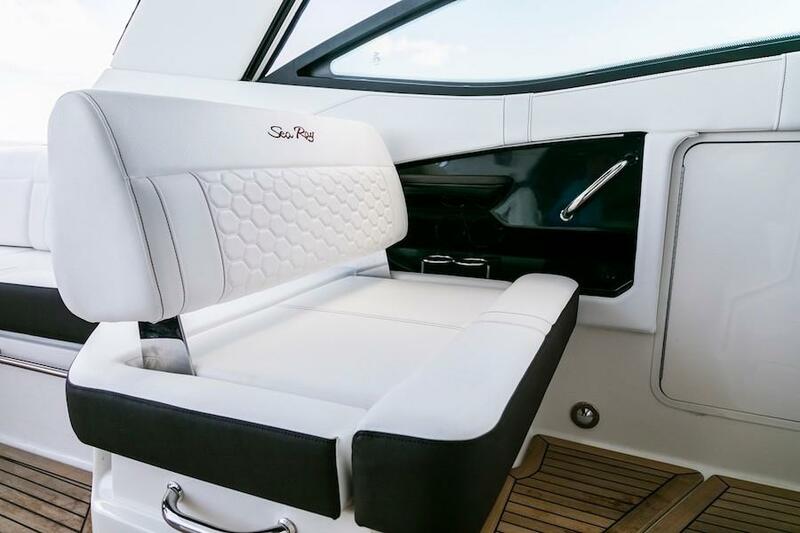 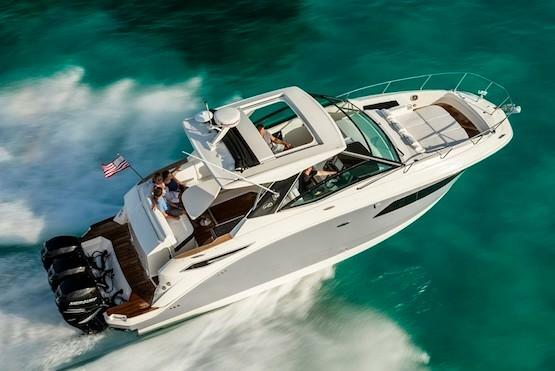 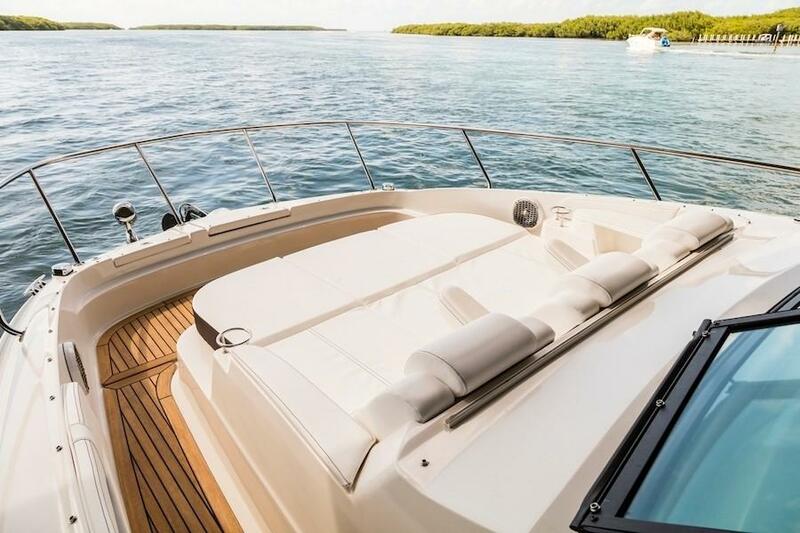 The Sundancer 320 Outboard continues a bold chapter in the Sundancer story, blending the values of a cruiser and a sport boat/bow rider in one compelling and harmonious package. 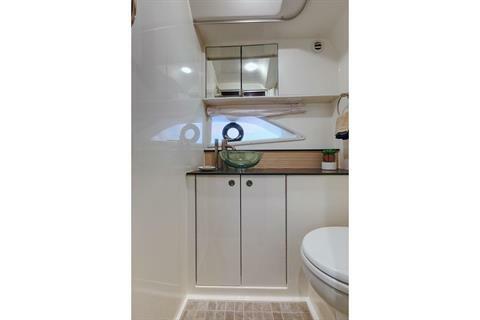 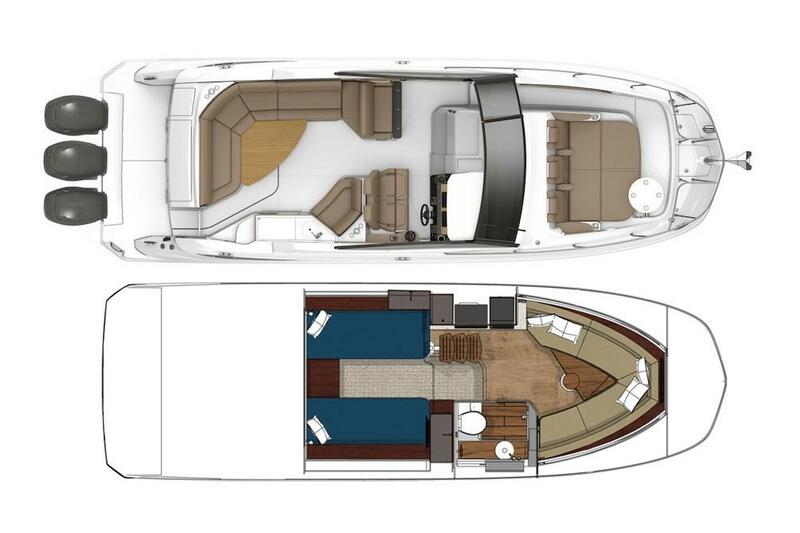 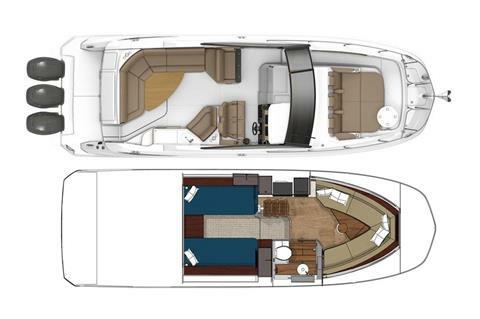 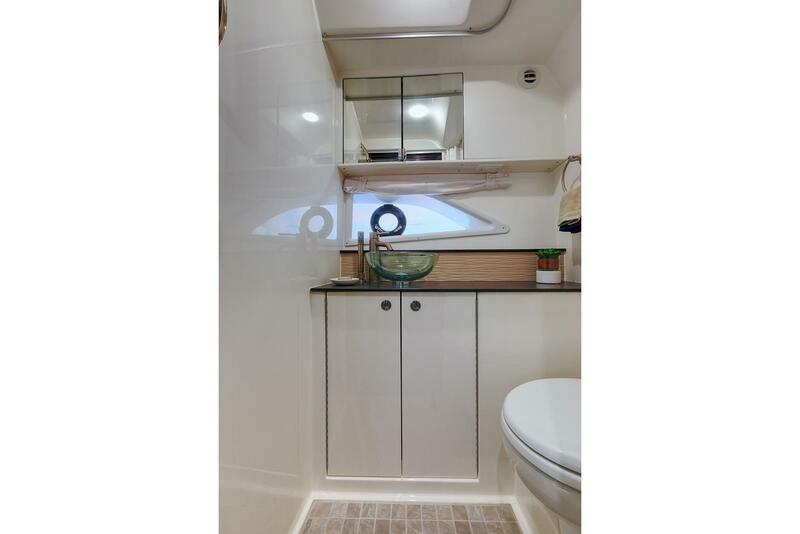 Thanks to an inventive reexamination of deck architecture, the bow area is more usable than ever before; meanwhile, the cockpit affords effortless, versatile enjoyment of the water, and the cabin provides a comfortable place to get out of the sun or tuck in for the night. 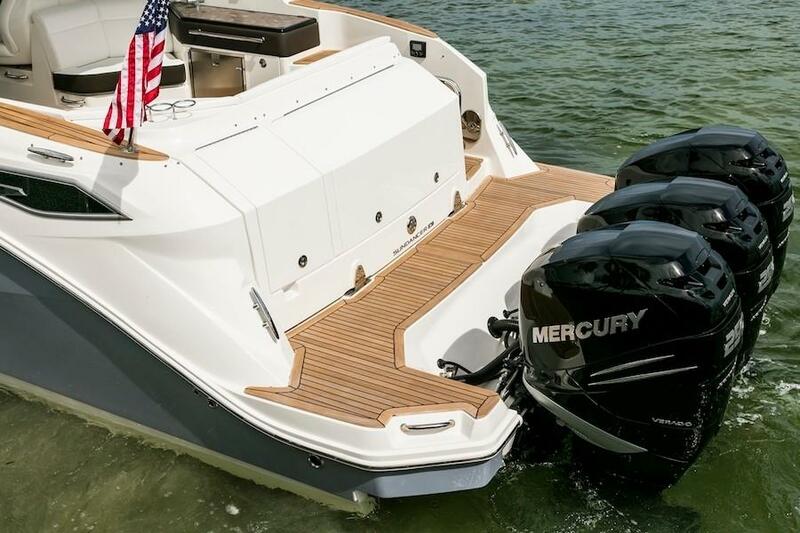 Outboard power comes with zero tradeoffs in terms of space, comfort or enjoyment. 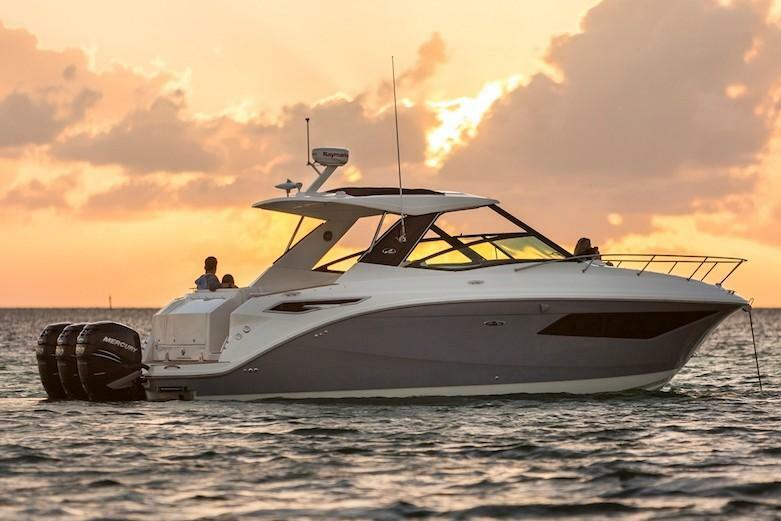 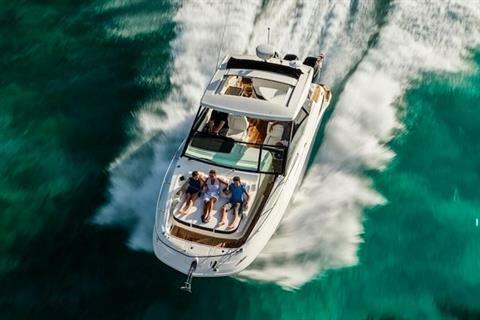 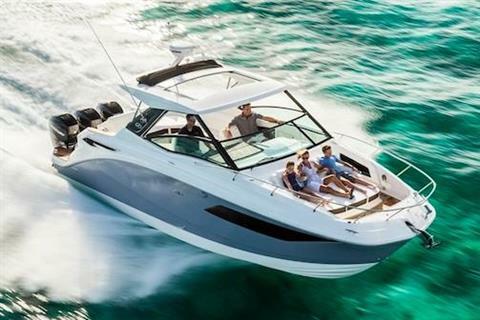 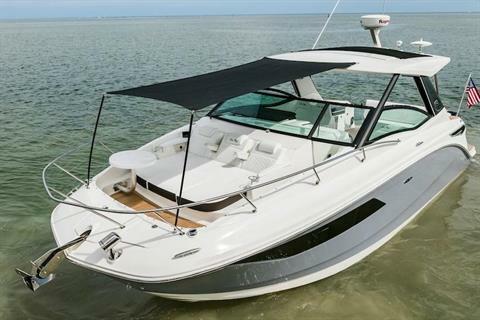 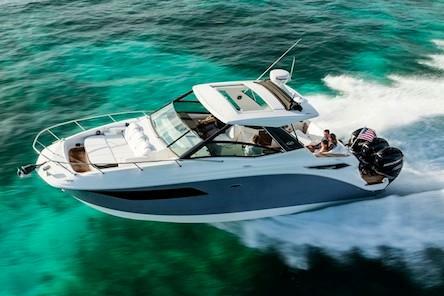 A true natural, the Sundancer 320 OB reimagines the possibilities of how a cruiser can look, feel and perform. 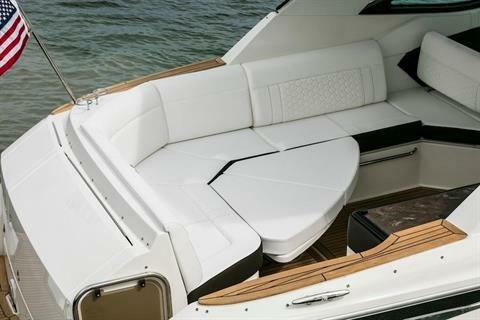 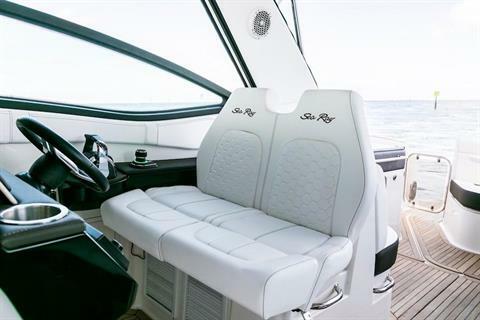 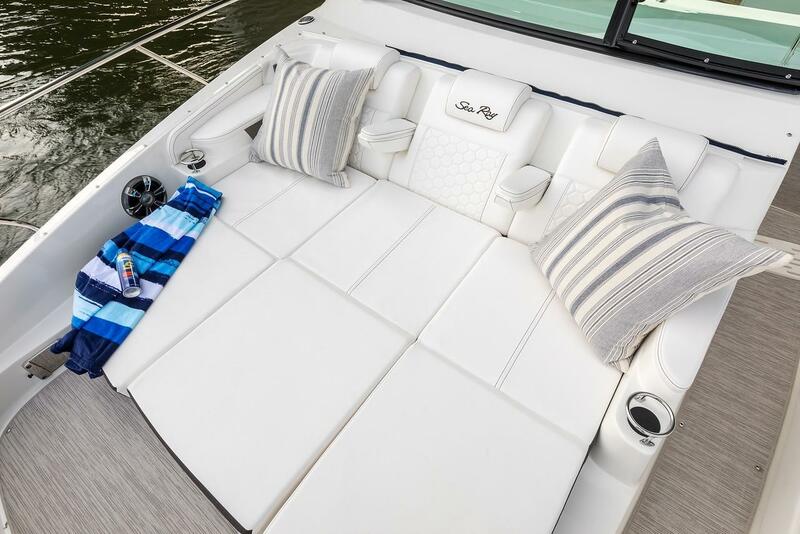 Expansive open bow lounging & seating area with actuated headrests and armrests allow for perfect comfort while underway or at rest. 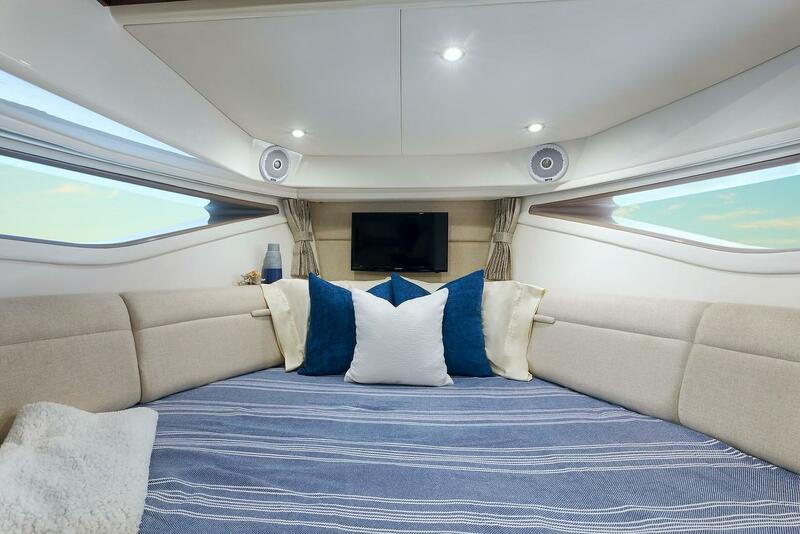 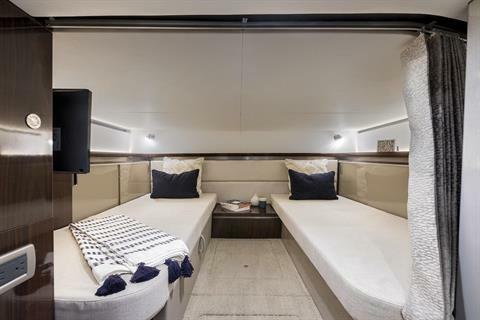 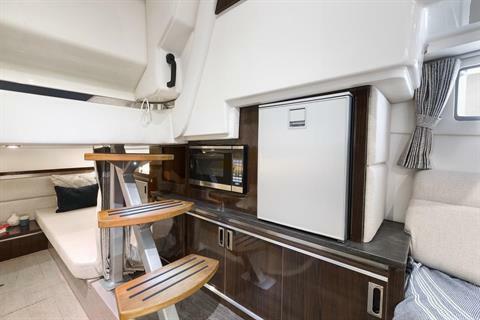 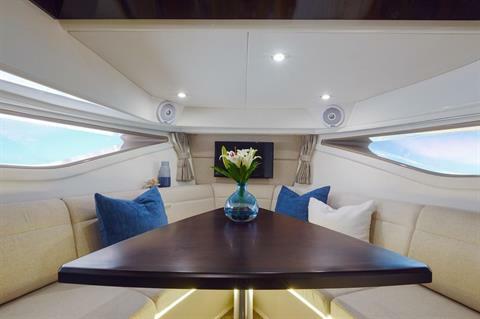 A deluxe head, gourmet-ready galley with extending countertops, flatscreen TV and generous storage are features of a beautifully designed cabin with sleeping accommodations for 4.